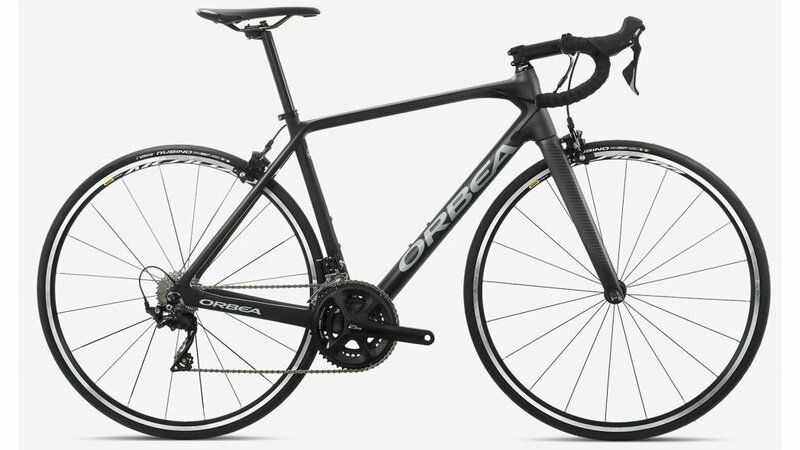 As Orbea's dedicated race horse… or giant marine mammal, the Orca occupies their revamped geometry and fit philosophy. The phrase "race geometry" can often produce assumptions of merely a steeper head angle and a smaller wheelbase. As these are true in the Orca, Orbea didn't stop there. The distances between axles drop allow for a snappier bike that take corners with ease and has exceptional footing when you standup out of the saddle and kick, which conserves both time and power at the same time. The Orca M30 Team model features Orbea's OMR (Orbea Monocoque Race) carbon fiber construction, which represents Orbea's top tier frames. It utilizes the most the most meticulus blend of high-modulus, low and standard carbon fiber to reach an optimum balance of performance, durability, and weight. This works out to create an ultra lightweight frame with a veracious appetite for racing. Pair the race-hungry OMR carbon fiber Orca frameset with Shimano's 105 11-speed mechanical drivetrain, FSA's cockpit build, and Mavic's Aksium Clinchers, and you've got a lightweight and aggressive steed that'll see you through the offseason base miles and then happily toe the line come early spring.